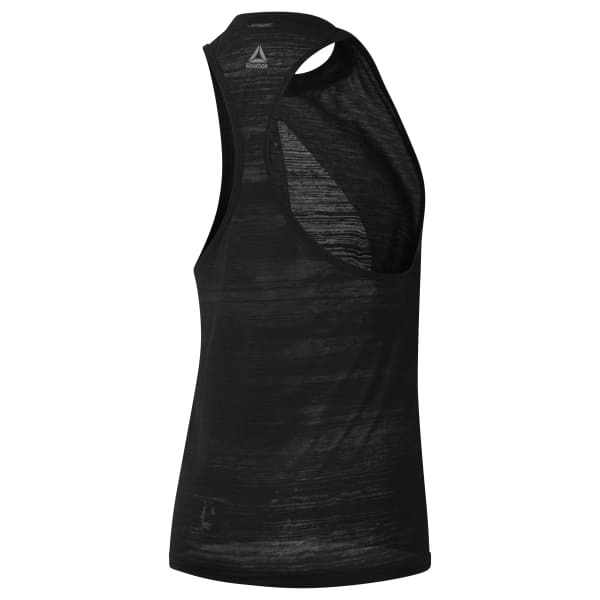 An easy to wear piece,this modern racerback tank is styled in all-over stratified burnout print and a slightly higher neckline for added style and coverage. Speedwick moisture management technology helps keep you dry and comfortable. Subtle Reebok delta burnout graphic at front chest for stylized logo execution.